About 3 years ago I switched over from the dark side to the light; by that I mean I got a Mac. Now when I got a Mac so did the rest of our church staff. Some people got a Mac Mini, some got a Macbook and there were a few iMac's. I was super thankful for the new computer and while learning about my Macbook fell in love with it. We also ordered this thing called "Apple Care". At the time it kinda seemed like a waste to me but I did enjoy being able to call Apple and ask any question that I had about my Mac. Some of you may have seen that last week my Mac broke! 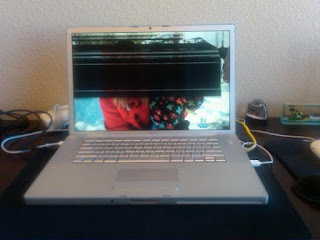 It may be better to say that I broke my Mac. I posted this picture, using Twitpic, of the damage I caused. After I did this I sat my desk for about two minutes in shock. I was bummed because I had broke my computer. I was bummed because I had broke the church's computer. I was bummed because I knew we didn't have money to buy me a new one. So I called Apple Care and told them the story of what happened. The guy on the line booked me an appointment at the Genius Bar for 3pm that day. I told the guy what I had done and how it broke. He looked at it real quick and told me that we could fix it. He said: "It was an easy fix; just four screws to remove." When he said that I jokingly said: "Can you just put a new hard drive in there while you're doing that?" His response was: "Ya for sure." I thought he was joking but he totally wasn't. Not only did Apple fix my broken screen, but they gave me a new hard drive too (and a bigger one)! Oh ya I forgot to mention that they gave me a new battery too. Now you have to be thinking; "What is the cost on that?" Great question. The cost would have been $692. The great part; I had two days left of my three year warranty. You know what that means? I will be buying Apple Care for every Apple product I buy from here on out! 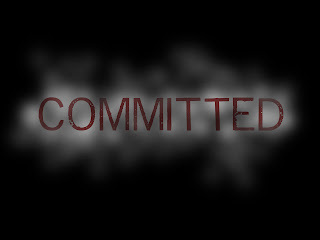 This month in our High School Ministry we are doing a series called "Committed". Over the summer I sat down with our interns and we planned out the entire teaching schedule from September through April. One of the things that I wanted to make sure was that we didn't teach through passages that we have done before. I know for me I can become familiar with a text and basically fall in love with the passage. I get comfortable with the text and then I fail to venture out and teach the entirety of God's word; not this year. 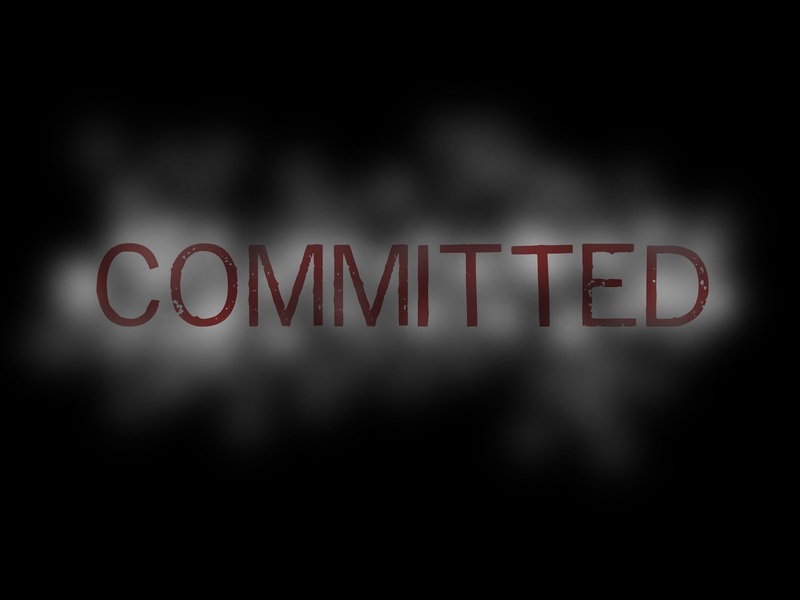 Committed is a three-week series where we dive into the book of Ruth. We tend to teach topically in our high school ministry but will often take the time to go through a book of the Bible too. This year we are going to try to hit about three books, short ones of course, and help students really grab the Biblical lesson that we find in it. The basic story is that Ruth is a woman from Moab who makes a commitment to God on the side of the road. She comes to Bethlehem with her mother-in-law and while there learns about the sovereign love of God. Her commitment of faith requires her to trust in God for provision of daily needs. While in Bethlehem she marries a man named Boaz and becomes a mother. Her grandson is King David and from our position in history we can see that Ruth changes history because she is the great grandmother of Jesus. The question we are asking students is what are they committed to in life and how will that commitment change history? Now some people would disagree with point number two but not me. See I have been working with students for almost ten years now, in the church setting, and have seen first hand how media impacts students lives. There is usaully someone you know that is defined by something they use in their teaching method. I am known as the "video clip" guy at our church. I am constantly using video clips to help teach points because I think it can say things in a way that I cannot communicate and it brings a break in the message to refocus everyone on what is on the screen. 2010 was a good year. We had some crazy times as a family and some great times. Overall I have to look back on the year with some huge learning lessons, some great ministry lessons and wonderful time with my family. On New Years Eve Charity and I were talking about our top five from the year, she already blogged her's, and it was good to just talk and think about all that God has done for us and how He provides for our family. This seems to have to be a no brainer that my daughter being born was by far the best thing to happen to our family in 2010. When Leah was born we were both a bit nervous because of all the issues that we had with Sophie. It was great to have Charity's mom and sister in town to help out on the day Leah arrived. We went to the hospital late on the night of March 10th and at 7:06am on March 11th Leah Joy joined us (of course I cried when I first saw her). January 7th 2010 marked Charity and I being married for 5 years. We have decided that every five years we are going to do something big for our anniversary. We also talked about how we may not live in Vegas for ever and we needed to do the Elvis Wedding. So I got my tuxedo t-shirt out and we invited the friends to our wedding. Now one of the best parts is that Charity was a good 7+ months pregnant! Over the summer we packed up the girls and headed south to the beach. Now its weird to write that we took a vacation in the city where Charity and I meet and used to live for a few years but we did. We meet my Mom, her Husband, Sister and Nephew down there. We went to the beach, Sea World, the Zoo and the Wild Animal Park. Such a great time at the beach and with family! This was my sixth summer going to Hume Lake and every year I have enjoyed it more and more. I think that is partly because we, as a student ministry, have learned how Hume functions and how we can best use the week up at camp. Every year we bring more and more students there and have just seen God really grab students hearts in huge ways and change lives! I am very thankful for the ministry that Hume Lake has in our students lives. My church did something great for me last year and gave me three weeks off for Spiritual Refreshment. Part of that time I went on a four day fishing trip with my buddy here in town, Taun Yurek. We went to Beaver Dam, in Nevada, and went fly fishing for trout. This was by far one of the highlights of my year; getting away and just being in nature! Now it was super cold but I pushed through it and had one of the best times of my life. Last year we started a tradition in our High School Ministry. We only have a few traditions here that we have done in the last six years since I started leading the ministry. This one came from reading a friends blog, Josh Griffin, and what they do in their High School Ministry every year. The basic premise is that the first Wednesday of the year we are going to do some sort of "Vision Night" and share/remind students, and leaders, why we do what we do. 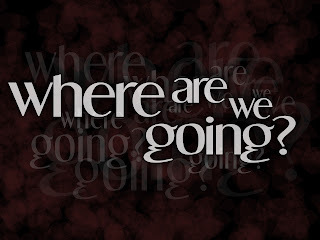 This year we called the night "Where are we going?" 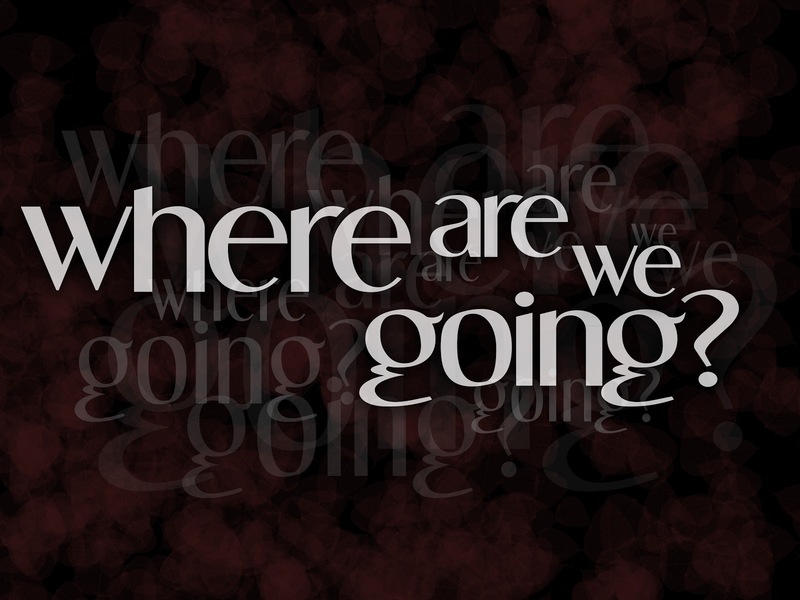 Which I think is a question that churches need to be prepared to answer. I want to be very clear with our High School students about what we are going to be about. I want to make sure they know what they can expect from us and what we are going to expect from them. This means that we will teach the Bible weekly on Wednesday night in a way that a high school student can understand. I am committed to having messages that are applicable to the life of a high school student. The message will be clear, relevant and understand but challenging. We are going to challenge students to grow in their faith! This year we are calling our small groups Life Groups. For a season we moved them onto campus but decided that we are going to move them back into homes. I think that something happens when you sit on the couch and talk about Jesus and hear what Jesus is doing in others lives. This will be a place where accountability and honesty can happen. Where leaders will connect with students and ask them how they are doing. This is the part where students apply what they are learning from the first two. The goal is that when life change happens that others notice it and want to be a part of that. Our high school ministry has grown because of students lives being changed and them telling their friends. We want students to learn to live their faith out on a daily basis. So that is what we are going to be about this year in Explode! Our family has a New Years Eve and New Years Day Tradition! The last two years we have hit up CPK (California Pizza Kitchen) on New Years Eve to just celebrate all that God has provided for us. The following morning we decided to add to the tradition by heading to Mount Charleston to take the girls to play in the snow. Now this is kinda weird for me because I grew up in Big Bear Lake and was around snow the first nineteen years of my life. We have taken Sophie to winter camp the last two years and today was Leah's first time seeing the snow! Mount Charleston is about an hour from our house and was about twenty-four degrees when we got there around 11am. We parked and headed over to a small meadow that was covered in snow near a small sled area. All Sophie talked about was building "Daddy Snowmen, Mommy Snowmen and Baby Snowmen". So after trekking through knee deep powder we made some snow men! The snow was very dry but we did it! After making our snowmen I took Sophie sledding first. She really loved it and then said she wanted to go to the top of the hill. I took her a bit further up but when we got down she said: "I wanna go bye bye" I think it scared her some. We ended up staying there for a little while longer and I took Leah sledding; she loved it! The line of the day was when Sophie was eating snow and said: "I love snow" with a huge smile. The tradition made me very thankful for my family, all we have, and just having fun together! Check out this video of Leah's first sled ride.